Who Is Calysta Bevier of America’s Got Talent, What Is She Doing Now? It never crossed Calysta Bevier’s mind some few years ago that she’d ever be a celebrated singer. No, not at all. Although she had always loved singing, it never occurred to Calysta that for her voice to be heard, she has to go through much suffering and agony. Calysta Bevier became popular after she received Simon Cowell’s Golden Buzzer in the fourth episode of America’s Got Talent: Season 11 show in 2016. But that’s not all to know about her. Bevier was diagnosed with ovarian cancer the previous year. She was just 15 then, an age that holds the least probability for such type of cancer. She went through treatments and luckily for her, she survived. Since then, Bevier has vowed to use her voice as much as she can to fight for both cancer patients and it’s survivors. She also wants to use her music to inspire and heal broken hearts. Now, let’s take a closer look at Calysta Bevier’s life – from everything about her ailment and how she started singing, to what she is doing at the moment. 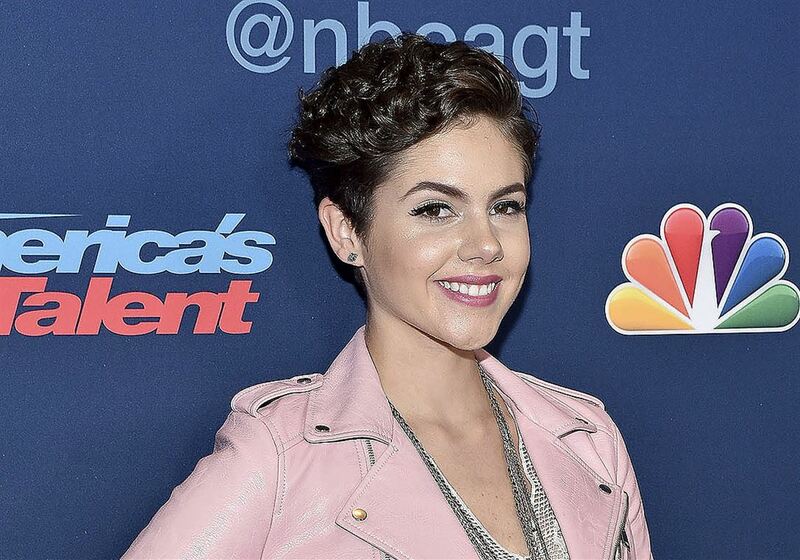 Who is Calysta Bevier of America’s Got Talent? Calysta Bevier is a young and uprising singer and ovarian cancer survivor. She uses her voice to give back to the society for all the love she received while going through cancer treatments. Calysta was born on September 17, 1999, in Bowling Green, Northwest Ohio in the United States. She is white American and the first child of her parents, Missy and Adam Bevier, a sales manager and firefighter respectively. She has three younger siblings (Gavin, Adam, and Lavaya). Calysta loved and started singing from her childhood. She, however, never believed she would someday go public with her voice owing to the nature of her nativity. She would always sing in her room, to her family, and at local talent shows. In addition to singing, Bevier played volleyball during high school and was also a Varsity cheerleader. Calysta Bevier was just 13 years old when she started noticing the early symptoms of cancer, from a lump on her abdomen to frequent urination. But in her ignorance, she wished them away with trivial interpretations such as abs, constipation and having a small bladder. Then after her family returned from a holiday in Orlando, Florida in 2015 the symptoms became severe. The lump on her abdomen had increased in size and she was feeling nauseous. At first, doctors thought – oh, the young girl must be pregnant. But the tests proved them wrong. She was diagnosed with stage three ovarian cancer. Calysta was 15 then, and a sophomore at Otsego High School. For the following three months, Calysta Bevier was under chemotherapy, receiving a total of twenty-one infusions. Her doctor also removed a more than four-pound tumor from her belly. During the treatments, Caly lost her entire hair. She also lost her left ovary and Fallopian tube to the deadly disease. She was, however, super lucky to have her cancer go into remission by August of the same year! Surviving cancer has turned Calysta Bevier’s perspective on life to a whole different direction. The Ohio native once revealed in an interview with Refinery29 that she used to be the pessimistic type, not always believing that things would work out fine. But after she survived cancer, her mindset completely changed. She can now reach out for whatever she wants. Yes, we now know that she had and survived cancer, but that’s not a sure path to fame. So, how did Calysta Bevier get public attention? Well, Bevier met a fellow cancer patient, Thane Wooley at the hospital and they became friends. She later attended a fundraiser on Wooley’s behalf in September 2015 and sang “Fight Song” by Rachel Platen at the event. Her dad uploaded the video of her performance on YouTube and it went viral. The first significant people that noticed were producers of the Ellen DeGenere’s Show. She later appeared on the show in December. There she met Rachel Platen and they sang the “Fight Song” together. Bevier subsequently earned a spot to audition at America’s Got Talent: Season 11. She once again chose Platen’s “Fight Song” for her performance during episode four of the auditioning. Her excellent performance moved the chief judge, Simon Cowell to give her the Golden Buzzer which meant a straight shot to the quarterfinals. Her performance of Sara Bareilles’ “Brave” during the quarterfinal contest also earned her a standing ovation from all the judges, another straight shot to the semifinals. 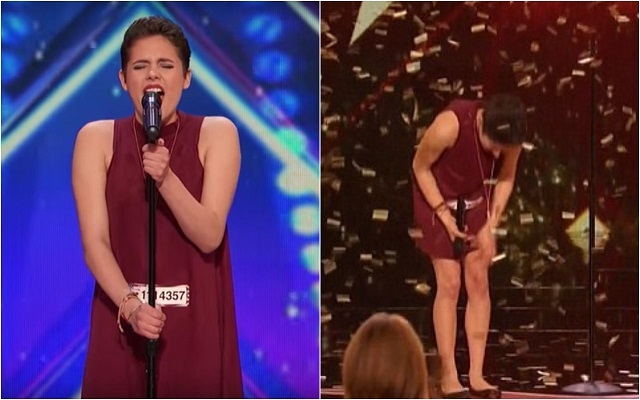 Calysta Bevier performing (left) and receiving the golden buzzer (right) on America’s Got Talent show. Although she did not make it to the finals, Calysta became one of the most popular singers on the show. In addition, her exposure earned her a contract with a prominent record label – the Primary Wave Entertainment. Calysta Bevier released her first single “Head Held High” in July 2018. She has also participated in a number of concerts where she performed on her own, opened for or appeared alongside already established singers. Meanwhile, she never forgets her commitment to people fighting to overcome cancer. She has participated in numerous events for the cause including the Philly Fights Cancer rally and the Martin Truex Junior Foundation fundraiser, Catwalk for a Cause, both in 2017. After America’s Got Talent, Calysta left her family home in Ohio and moved to Los Angeles to stay on her own and pursue a full-time career in music. In addition, she embarks on various activities that raise awareness for cancer, especially the one of children and young people. Speaking in an interview with Karen Shayne of New Focus Daily during the 2018 Ovarian Cancer Week, Miss Bevier gave a sneak peek to what she wants her future to look like. She said she is still working on her voice. She also hopes to roll out new albums and embark on a number of tours in the coming years. Young Bevier has got a lot she wants to accomplish, including owning a mansion on Hollywood Hills in the next ten years. What a big dream! Coming down to her romantic affairs, Calysta Bevier is currently dating a guy called Sam Corchado. They usually share photos from their lovely moments on Instagram.